Flexibility of the solution allowed rapid modifications to the front-end & overall process as the project grew and changed in scope. Automated production of journals for upload into ledger system. Project paid for itself – previously there was no easy way to detect cancellations. Therefore these were written-off by the business. New functionality allowed cancellations to henceforth be recouped and netted-off against liabilities resulting in a net gain for the business. 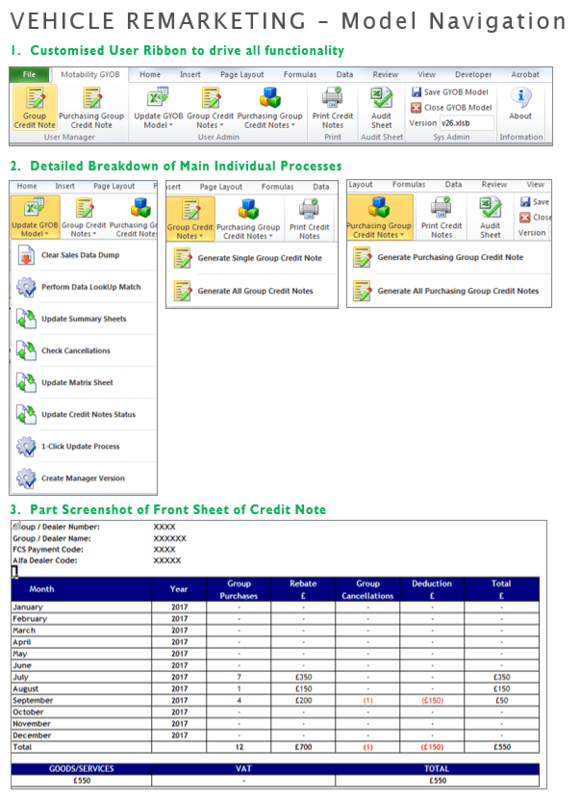 Populate a Cover Sheet with cost summary by division. 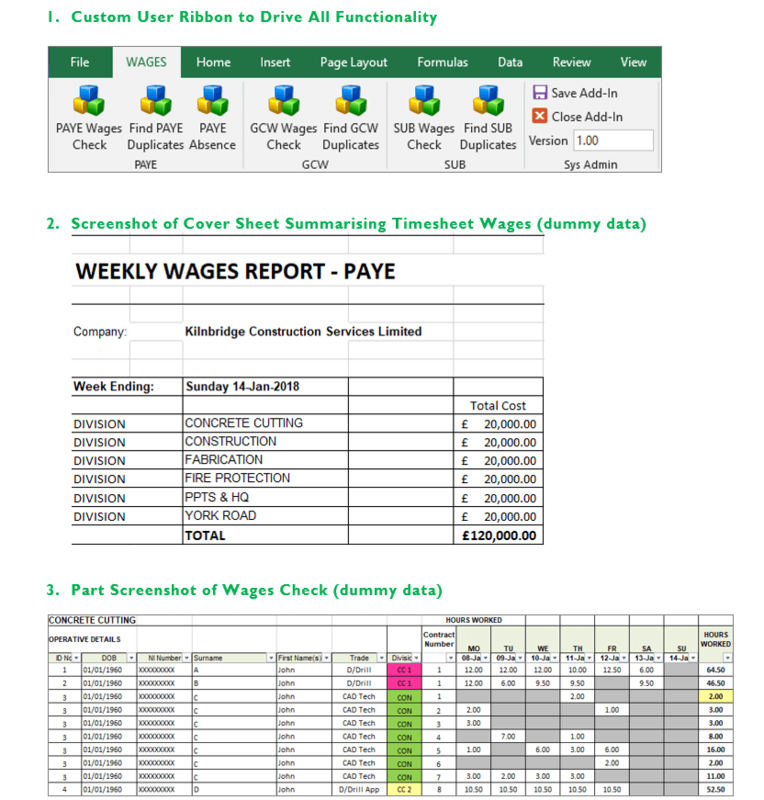 Create a Wages Check report of combined timesheet data across all divisions by employee. Generate a Duplicates tab to highlight likely duplicate timesheet entries per employee. Generate an Absence report showing employees with 1 or more days without a timesheet entry. Removed hard coding from the VBA that could have resulted in incomplete reports. Duplicate timesheet entry checks enhanced to work on individual days rather than the week as a whole. Replaced user entry of last data row with VBA identification of the last row to prevent risk of user error. Fixed loss of cell formatting in the original process. 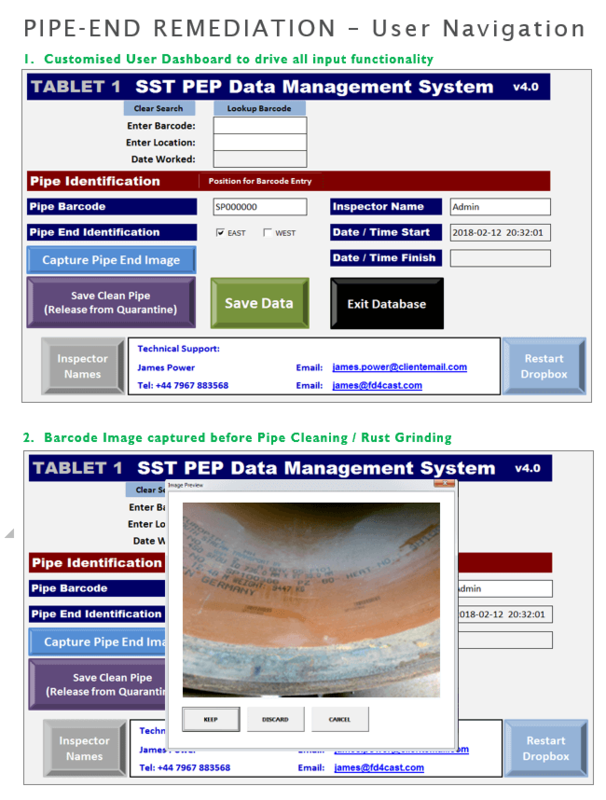 Step-by-step process clearly defined within the custom ribbon, reducing the requirement for detailed end user process notes.